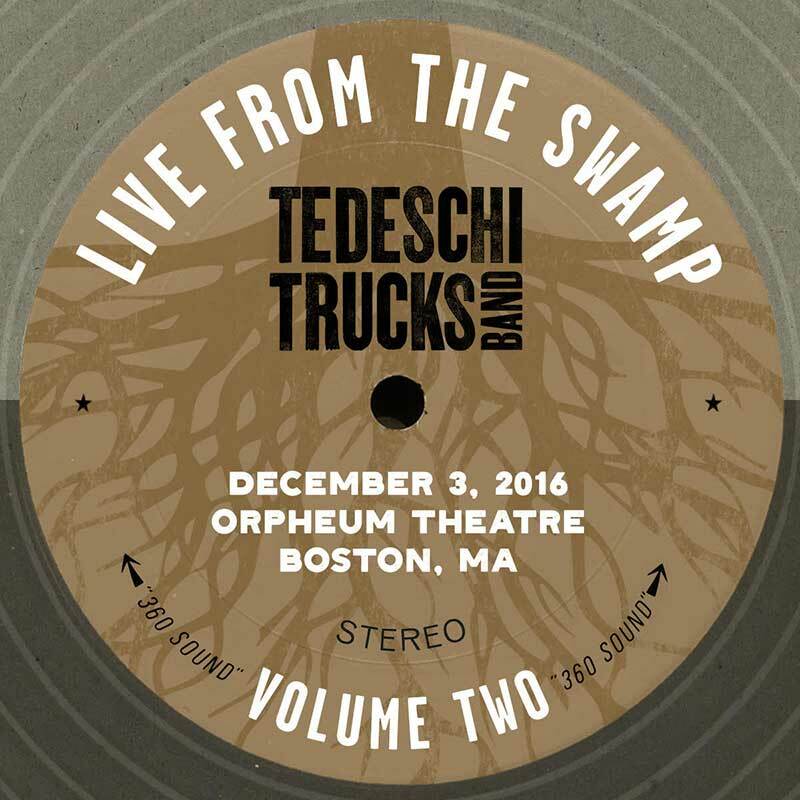 The final performance for TTB in 2016 turned into a tour de force, spurred on by the energetic Boston crowd and perhaps a little extra fuel in Susan’s fire as she had dozens of friends and family in the house for her hometown show. The powerful opening salvo of “Don’t Know What It Means>The Letter” stands out in a sublime set one that showcases the strength and versatility of both Susan and Mike Mattison on vocals. Set two begins with a deeply heartfelt version of “A Song For You” not long after the passing of Leon Russell (catch Susan trying to regain composure after finishing the tune) and on the back of that intense performance, TTB come together as one to deliver a set of unusual power and depth, 12 musicians locked in as one band, pushing to end a very trying year on a note of healing and inspiration. Live From The Swamp, Vol. 2 was selected for release by a listening committee after feedback from band members and crew. The download was produced from the original 64-track soundboard recording by Bobby Tis and Brian Speiser, and mixed and mastered for release by Jesse Lauter. Live From The Swamp, Vol. 1 is only available as a free download included with a membership to the Swamp Family Fan Club.